New Zealand School of Dance 2017 Graduates Connor Masseurs and Toa Paranihi. Photo by Stephen A’Court. NZDC Seasonal School. Photo courtesy of NZDC. The New Zealand Dance Company (NZDC) has announced that its Autumn Youth School will be held in the April school holidays at the Te Oro Music and Arts Centre, Auckland from 23 – 27 April 2018. Offering a highly sought-after opportunity for aspiring young dancers aged 12-18 years to “live a week in the life of a company member”, the programme provides an intensive week of training that culminates with a studio showing for family and friends. Register now at www.nzdc.org.nz/seasonal-schools. Cost: $350 (Financial Scholarships available). Contact Tammi at tammi.butterworth@nzdc.org.nz for more info. 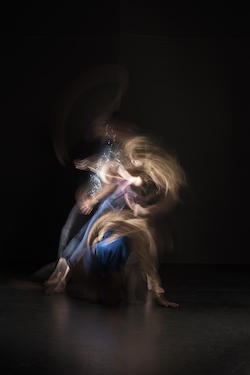 NZDC, in co-production with Holland Dance Festival, presents one of its most sought-after and celebrated programmes,  Lumina, featuring three incomparable pieces of contemporary dance. Director  Shona McCullagh tasked some of NZ and Holland’s finest choreographers, composers and audio-visual designers to create a rich world that “revealed a depth of talent in every aspect of the production” (DANZ Magazine). Direct from Paris’ prestigious Théâtre National de Chaillot and Liverpool, following sold out seasons in New Zealand, the Holland Dance Festival and Germany, Lumina is not to be missed. For more information, visit nzdc.org.nz/lumina2018. The Royal New Zealand Ballet (RNZB)’s Dancing with Mozart season begins at the end of May. It features works by major choreographers of the 20th and 21st centuries, including George Balanchine and Jiří Kylián, all set to music by beloved composer Mozart. Progamme includes Balanchine’s Divertimento 15 and, for the first time in New Zealand, Kylián’s Petite Mort and Sechs Tänze. New Zealand-born choreographer Corey Baker will also present his The Last Dance, featuring Mozart’s unfinished Requiem. RNZB’s ‘Dancing with Mozart’. Photo by Ross Brown. Dancing with Mozart premieres in Wellington on May 31, and tours to Christchurch, Invercargill, Dunedin, Blenheim, Palmerston North, Napier and Auckland until July 8. For tickets and more information, visit rnzb.org.nz/shows/dancing-with-mozart. Footnote’s ‘Search Engine’. Photo by Caroline Atkinson Photography. 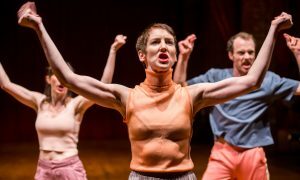 Footnote New Zealand Dance’s first major tour of the year will be with Search Engine, a new short works season. In May, the company will travel the length of New Zealand to bring this triple-bill to audiences across the country. Scheduled to hit 12 centres, Search Engine is choreographed by Lauren Langlois, Rose Philpott and Tupua Tigafua, who are being mentored by Chris Jannides. 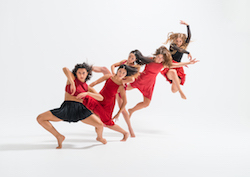 Each choreographer has a distinct voice in this season, and the three individual works have wildly different ways of looking at the way we seek connections in our rapidly changing environment. Search Engine tickets will be on sale via Footnote’s website from April. The company will also be launching a national masterclass programme to support its Search Engine tour. Footnote’s ‘Walk with me’. Photo by Olive Bieringa. 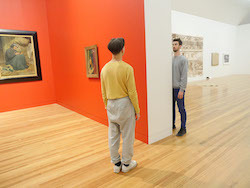 Footnote will also present Walk with me, in which dancers lead viewers through Te Papa’s new art galleries on a unique tour that uses movement to explore art in new ways. Walk with me has been commissioned for Te Papa’s collection, as the first intangible dance acquisition for New Zealand’s national museum. It is developed and choreographed by Olive Bieringa of BodyCartography Project, delivered by Kosta Bogoievski, Josie Archer, and Footnote’s company dancers Anu Khapung, Georgia Beechey-Gradwell, Joshua Faletua, Tyler Carney and Adam Naughton. 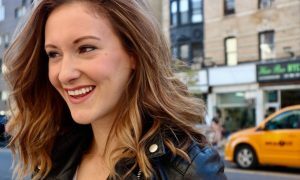 This one-on-one walking tour activates senses and encourages deep connections with the surrounding art and architecture. For more information, head to www.tepapa.govt.nz/visit/whats-on/events/toi-art-immersive-movement-tours. The New Zealand School of Dance (NZSD) has a number of exciting events open to both classical and contemporary dance students. The school’s Contemporary Intensive Programme (CIP) is next running 2-3 June in Auckland. The well-established event is for dancers aged 16-18 years with a sound knowledge of contemporary dance and is a great way to discover the requirements for full-time training. New Zealand School of Dance students Kia Jewell, Jareen Wee, Ngaere Jenkins, Alanna Main and Olivia Foley. Photo by Stephen A’Court. June will also see the return of NZSD’s Tū Move workshop for young Māori and Pacific Island men aged 14-18 years. The three-day weekend workshop covers hip hop, street and contemporary dance. 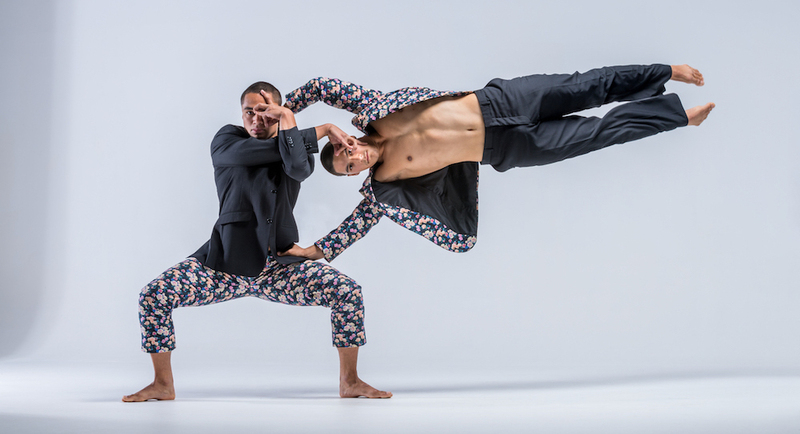 This year, Tū Move will be run by NZSD contemporary dance and Tū Move graduates Connor Masseurs and Toa Paranihi. In addition, NZSD’s Winter School is an annual five-day course offering intensive tuition in a range of dance styles. 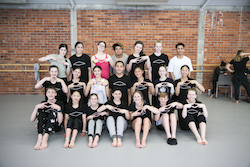 Held 9-13 July (during the first week of the NZ winter school holidays), it is a fantastic opportunity for young dance students to learn from the faculty of the NZSD, alongside some of the best national and international teachers available. For more information on all of these events and to apply online, visit www.nzschoolofdance.ac.nz/events.